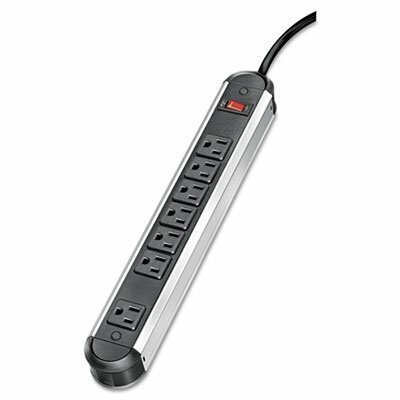 Power strip with seven outlets features a rugged steel housing plus durable construction for heavy-duty applications. Three-prong grounded plug and outlets. Outlet orientation and spacing accommodates AC adapters. 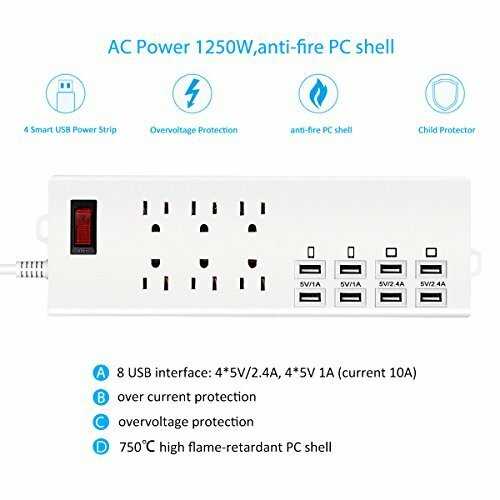 Power cord with right angle plug for easy cord management. On/Off switch with 15-amp circuit breaker. 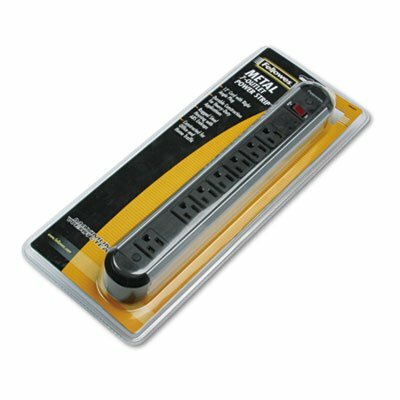 CSA/UL Approved, black and silver metal 120V, 15 amp power strip with 7 grounded outlets, 1800W capacity and 12 ft. cord. Sleek, two-tone design. Rugged steel housing for maximum durability. Outlet orientation and spacing accommodates AC adapters. Three-prong grounded plug and outlets.